Happy Friday. Click This. Hacked. “Hacker,” as we know the word today, wasn’t used in print until 1976 when Joseph Weizenbaum wrote: “The compulsive programmer, or hacker as he calls himself, is usually a superb technician.” Hackers have since developed a complicated reputation beyond that of a “superb technician.” From black hats to white hats to hacktivists, motivations, intentions, and skills vary. There isn’t one kind of hacker. And, of course, the term “hacked” or “hacking” now refers to a multitude of activities—from hacking yourself to hacking your IKEA furniture to hacking sushi, chicken nuggets, and cats to make music. Understandably, the kinds of hackers and hacking we fear the most are those we don’t know about, don’t understand, or can’t control. Then there’s the promise of the Internet of Things (IoT), which carries with it the risks and consequences of a very different kind of hacking. When cars and medical devices are hacked, far more than information security is on the line. As you can see in the video from Wired above, a hacked Jeep on the highway puts not only the driver’s life at risk but also potentially threatens the lives of other drivers and passengers. Similarly, a hacked implanted medical device (IMD)—such as a pacemaker—could result in death. The use of off the shelf (OTS) and open source software by some manufacturers involved in the creation of IoT products further increases the risks of being hacked. Begging the question: What can we do? Arena PLM provides early visibility to all impacted functions from engineering to quality to contract manufacturers. It provides a way to expose issues, defects and/or loopholes in product design quickly to minimize the chances that products make it to market with security flaws that could lead to hacking exposure. In response to the threat of hackers, individuals, organizations, and nations continue to invest resources in cybersecurity, which is becoming a bourgeoning business industry itself. Jason Bloomberg argues that companies can actually learn a lot from the Ashley Madison hack—such as how to mitigate extortion risks. But we can’t mitigate all risks in life or in business, and we certainly can’t make all of our data—or all of our products—hack-proof. What we can do is be aware of the possibility of being hacked and inform ourselves about the choices we make and the products we use and create. 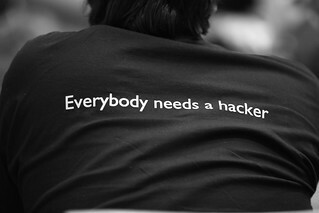 We can also recognize that many hackers are creators, problem-solvers, and (sometimes) cyber-security experts for good.